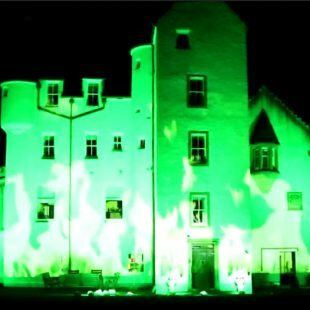 Lighting and Video Projection at Erchless Castle, near Beauly. 4 April 2017. Tucked away, out of sight, on the A831 where the River Glass meets the River Beauly is Erchless Castle. If you?ve ever travelled from Beauly to Cannich there?s every chance you?ve driven past the castle and never known it, like I have at least a half dozen times in the last twenty years. The entrance ..